For a recent application, a customer looking to improve automation for their pharmaceutical packaging line employed the use of Dorner conveyors. 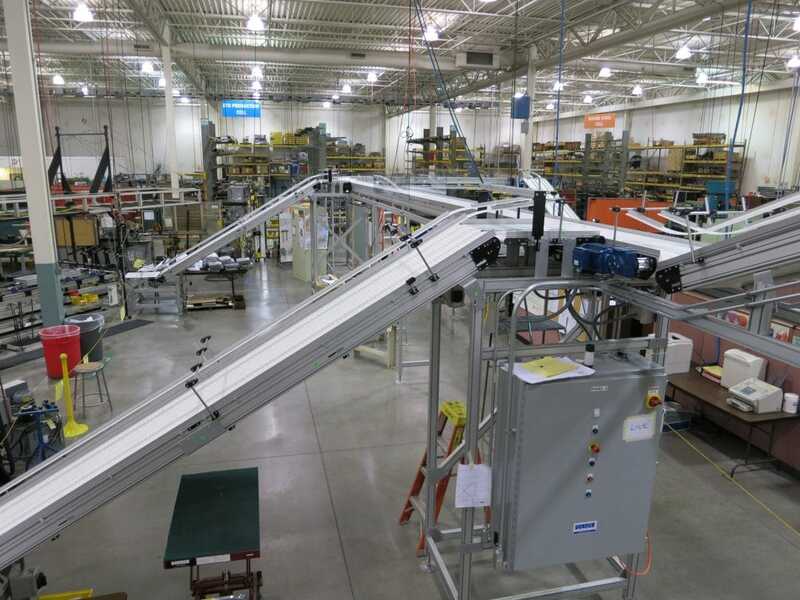 With a broad range of products we were able to use a combination of several different types of conveyor technology, including plastic chain for curves, friction inserts to grip packages on inclines, and both belted and plastic chain aluminum frame conveyors. To ensure accurate product routing, we utilized indexing servo motors, photo eyes, and other automation controls. The majority of the packaging line is overhead freeing up valuable floor space below the process.